Windsor Residential Group is building houses you will be proud to call home. Our entire team is dedicated to providing an exceptional home buying experience. At Windsor we are focused on providing beautiful communities in the best locations. We are thoughtful in designing and building live-able homes that stand the test of time. We offer craftsmanship and curb appeal that set us apart from other builders. We craft our homes with better building techniques to achieve sustainability and low maintenance. We build a healthier home with better air quality and systems that use less energy and water. Energy Efficiency is a key objective in every home we build. We employ the most advanced yet proven building sciences in the construction of our homes to achieve energy efficiency. We decided before we started building homes that we would build each home like it was going to be our own. Our team has experience building magnificent homes in the Southeast, all over the country and overseas. 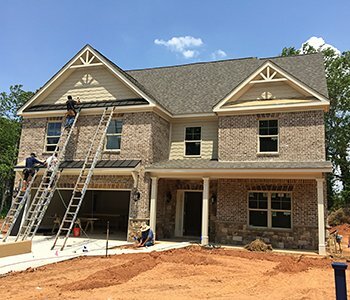 For over 2 decades we have built both custom and spec homes in Georgia. We look to these experiences to understand home design, function, live-ability, and what homeowners want. The Architecture of the homes we build takes concepts directly from period style homes ranging from, Southern vernacular, 1920’s garden homes, Charleston, Savannah, Farmhouse, French Colonial, and Cottage. It is our opinion that all of these styles exude classic and enduring character. All of these styles can complement each other in neighborhoods. All of our homes feature large inviting porches and outdoor living spaces. After establishing the style of architecture for a specific home, we work on the design of the floor plan. We strive to design smart floor plans that are live-able, furnish-able, and that work for today’s families. We draw from our years of experience in custom homes where we worked with homeowners and architects to design and build homes to fit each family’s lifestyle. We build floor plans that make sense. Outdoor living spaces are integrated into the design of each of our homes. We design our floor plans for families who prefer a home that is more livable and casual than formal and ornate.